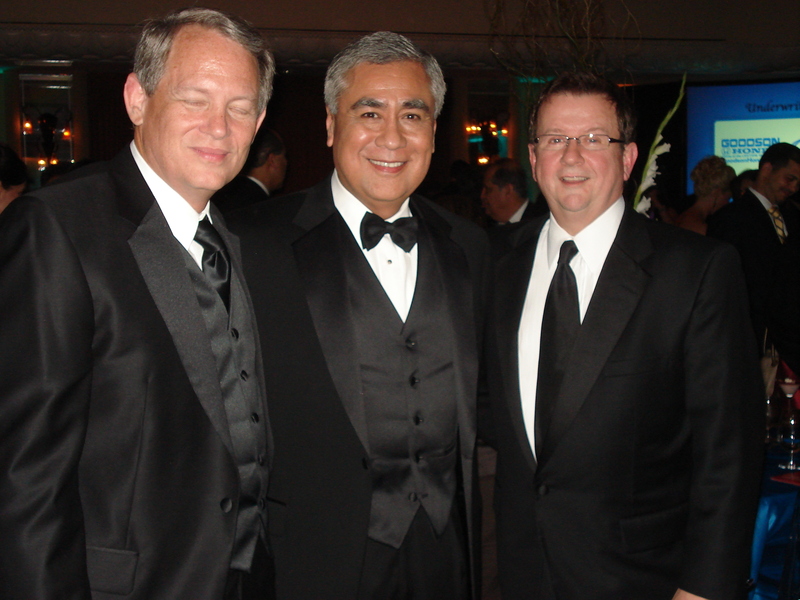 Congratulations to KPRC Local 2 News Anchorman Bill Balleza, pictured here with Channel 2 News Director Rick McFarland and General Manager Larry Blackerby. On Friday night Bill was honored with the Lifetime Achievement Award given by the Houston Association of Hispanic Media Professionals. Bill’s media colleagues from across Houston, along with many of his fans and community friends attended the celebration dinner on Friday night. The event raised money to award college scholarships to future journalists. 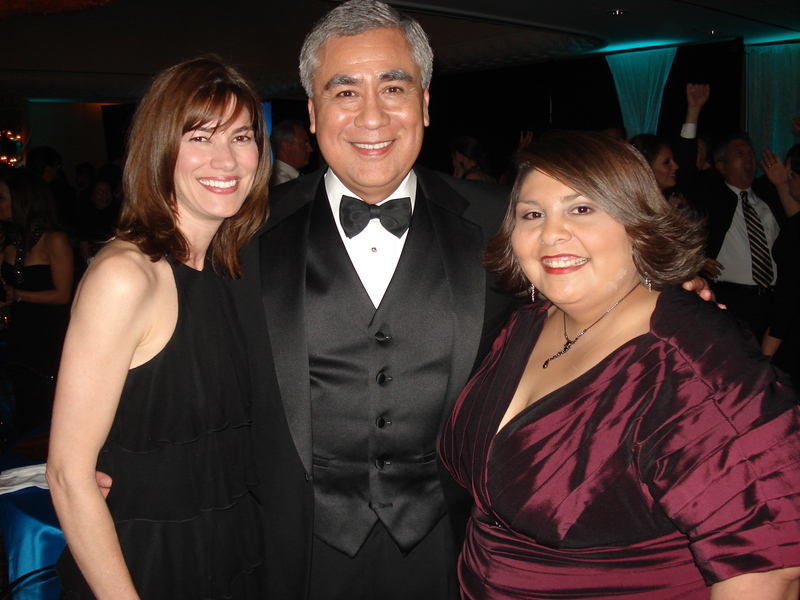 Bill, pictured below with his wife Missy and KPRC 10 p.m. executive producer April Arias, has been covering the news in Houston for more than thirty years. He is a true professional, always calm and credible on the air, while behind the scenes he is a warm and friendly person. He is not only the “face” of Channel 2, Bill is also a true reporter. He never hesitates, especially during breaking news, to roll up his sleeves and do whatever is necessary to bring the latest information to viewers. Bill co- anchors the 5 p.m and 10 p.m newscasts Monday through Friday with Dominique Sachse. When he’s not busy on the anchor desk, Bill stays involved in causes close to his heart, including helping at-risk children and giving back to his fellow retired Marines. Congrats Bill. You deserve the award!